We don’t know all of the details of how Microsoft’s acquisition of LinkedIn will play out, but one thing is for sure — it will certainly make our lives easier and greatly impact our electrical B2B marketing strategy. It will also begin to seamlessly integrate our daily business processes with social media, whether we’re ready or not. Microsoft’s $26.2 billion purchase of the professional social media network gives the company access to more than 430 million LinkedIn users who use the network to connect with other professionals, search for jobs and share industry news. Four hundred million people already use Microsoft Outlook for email, as well as a place to store contacts and a daily schedule. The integration of the two networks means LinkedIn will get a turbo charge the likes of which we haven’t seen in the professional world. Microsoft’s purchase of LinkedIn, will provide better data and targeting via electrical B2B marketing, while also improving their tools and audience engagement. Businesses should establish a strong presence on LinkedIn or risk missing out on some important operational efficiencies that will likely come as a result of the pending acquisition by Microsoft. One thing that is certain is that Microsoft will be getting a massive increase to their CRM services, with a large amount of new professional insights and data that will be available in their stream; it will be difficult for competitors to match their insights. Imagine a world where your email and customer relationship management system (CRM) are automatically updated each time one of your LinkedIn connections changes jobs. When you’re stuck on a project in Excel, you could click a tab to either register for an Excel class on Lynda.com or be connected with an Excel expert on LinkedIn. You could schedule and make calls with your contacts through a single platform that integrates Outlook, LinkedIn and Skype (which Microsoft purchased in 2011). Cortana, Microsoft’s digital assistant, could compile and deliver background information about attendees for upcoming meetings. Given that potential, if your company is setting up email or needs a CRM system, give serious thought to a Microsoft product. The more functionality you can gain through the impending Microsoft-LinkedIn acquisition, the more benefit your company and employees will reap in terms of productivity and time management. They have already stated that LinkedIn will be integrated into the office product suit, allowing the office users to see the LinkedIn information of any document that they are working on along with other people who are related to or using that document as well. For B2B marketers, this means that it is extremely important, that the information on your key employees’ LinkedIn accounts are accurate and up to date, because they will become even more important to the way your organization is going to be looked at by the clients that you will dealing with every day. Emails sent through Microsoft Outlook could be auto-populated with the sender’s LinkedIn photo and a link to the person’s professional profile. LinkedIn Messaging could be replaced by Outlook 365, which offers better functionality and spam protection. Users could accept or reject LinkedIn connection requests directly in Outlook and view presentations and infographics in their email instead of having to log onto the social network. This is similar to how Google has integrated YouTube and Google + functionality into Gmail. A customized newsfeed focused on a professional’s network, industry and profession could provide additional advertising opportunities, especially for companies looking for electrical B2B marketing. When it comes to LinkedIn, one of the largest areas of potential growth is in recruiting, in using their unmatched database of career and educational histories to create better ways to match people to job. For examples, LinkedIn has the ability to predict a person’s likely career path based on their education, background and interests. Their system can do this by matching those data points against all the other, similar profiles in the system and coming up with commonalities and probable outcomes. However, who said it had to just be for careers? What if LinkedIn opened up for students who are looking to attend colleges as well? For example, since LinkedIn has the ability to predict a person’s likely career path, what if they were able to predict a student’s path for college too. Based on the major they plan to study, activities, and career goals, LinkedIn could help predict a student’s likely academic path. While also giving them feedback, about what employers are looking for when hiring students with that specific major or field of interest. Sure, you’re thinking that sounds great, but what if a company isn’t even on LinkedIn yet? Don’t despair; there are some simple things one can do to prepare. If your company doesn’t already have a LinkedIn company page, create one. Decide what kind of content you want to share with your followers on the page (industry news, job postings, etc.). Create and follow a standard posting schedule to establish a consistent presence. 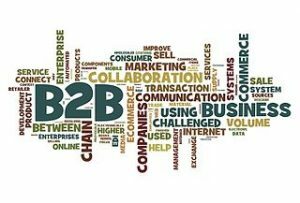 This is also extremely important and beneficial to your electrical B2B marketing strategy. Ensure that all of your employees are on LinkedIn and have a completed profile. Offer training if necessary. Each employee should have a photo, accurate and complete job descriptions and history. Employee profiles should be focused on what each individual can provide to customers and clients, as opposed to simply being an electronic resume. Consider having a unified company message and sales strategy on LinkedIn. Monitor employee LinkedIn profiles to ensure that they continue to represent your brand appropriately. Encourage employees to expand their networks to increase company visibility. Assuming there are no roadblocks on the road to acquisition, Microsoft’s integration of LinkedIn appears to be the next step in the world of social media. Instead of having stand-alone social networks, they will slowly meld into our daily lives, including work. If you want to be ahead of the curve, you should begin now to leverage the advantages that LinkedIn offers.